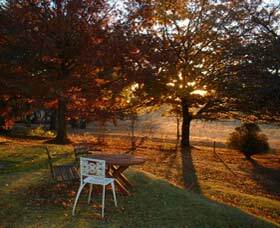 Bellthorpe Cottage is the place to get away from it all and catch up on all the rest and relaxation you've been missing out on. 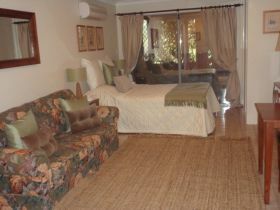 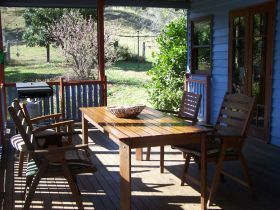 Bellthorpe Cottage is your hide away in the Sunshine Coast hinterland and just over an hour from Brisbane. 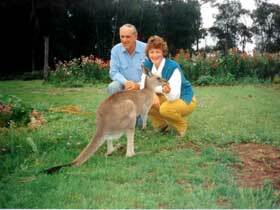 Cedar Glen has been in the Stephen's family since 1882, and they've been hosting visitors to the farm for nearly 30 years. 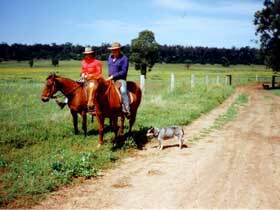 Located just 90 minutes from Brisbane or the Gold Coast in the beautiful Lost World Valley, this spectacular 1050 acre property is home to beef cattle, Arabian horses, milking cows, sheep, pigs, kangaroos and poultry. 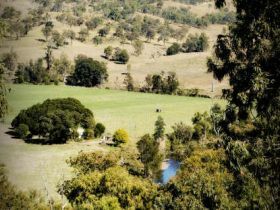 Stay in stunning Crebra Farmhouse situated in the pretty Kerry Valley, only 15 minutes south of Beaudesert and just over an hour from Brisbane and the Gold Coast. 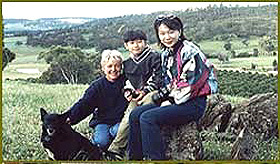 Lamington National Park is close with Duck Creek Road only one kilometre away. 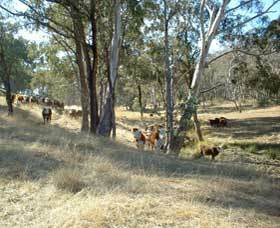 Dairy Flat is situated in the upper reaches of the Richmond River underneath Mount Lindesay and close to the World Heritage listed Border Ranges National Park. 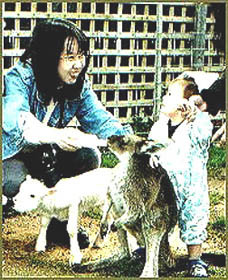 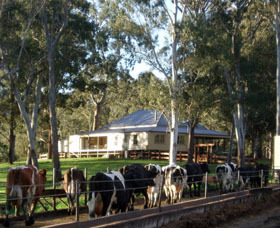 Dairy Park is a working farm set in the picturesque rolling hills of the central tablelands. 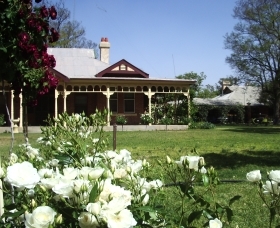 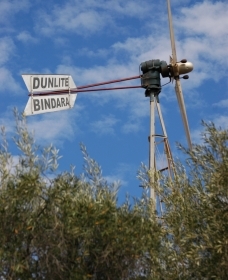 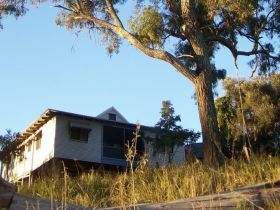 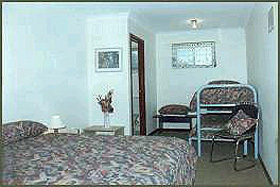 There are three self-contained uniquely separate units: the Cabin, Shearers Hut and Bumble Top Cottage. 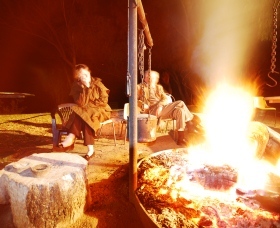 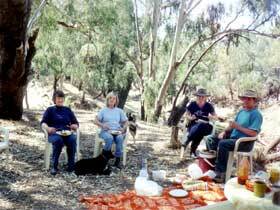 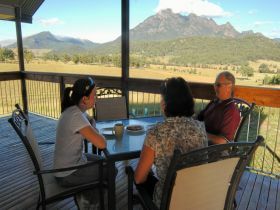 Lillydale Farmstay offers the warmth of a genuine Queensland country family and is a welcome alternative for people wanting to escape their busy lifestyles and relax at a luxurious advanced ecotourism farm. 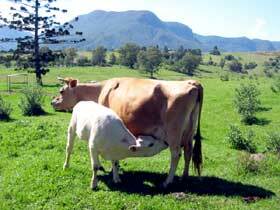 Lillydale is 90 minutes from Brisbane and the Gold Coast. 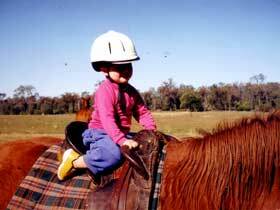 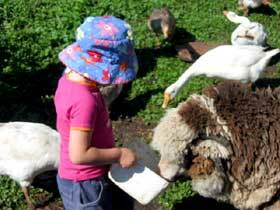 Beautiful Mango Hill Farm is one of the Sunshine Coast's premier organic farm attractions. 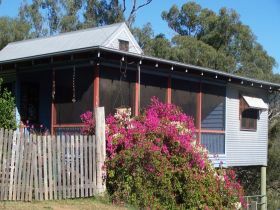 Located in peaceful rolling countryside in view of the Glasshouse Mountains, it offers a range of farmstay accommodation including the beautifully restored 100-year-old Queenslander, Dovecote Cottage.